Boston: Gregg Press, 1979. First Edition, First Printing. Hardcover. 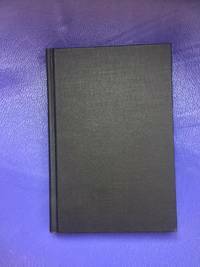 Octavo, 240 pages; VG; black spine, gold text; cover is in excellent condition, with minor rubbing at spine head; textblock is clean; FLP Collection; shelved case 8, Dupont. Full-priced Rockville.